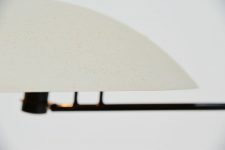 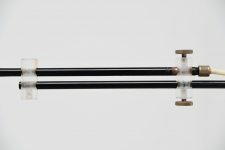 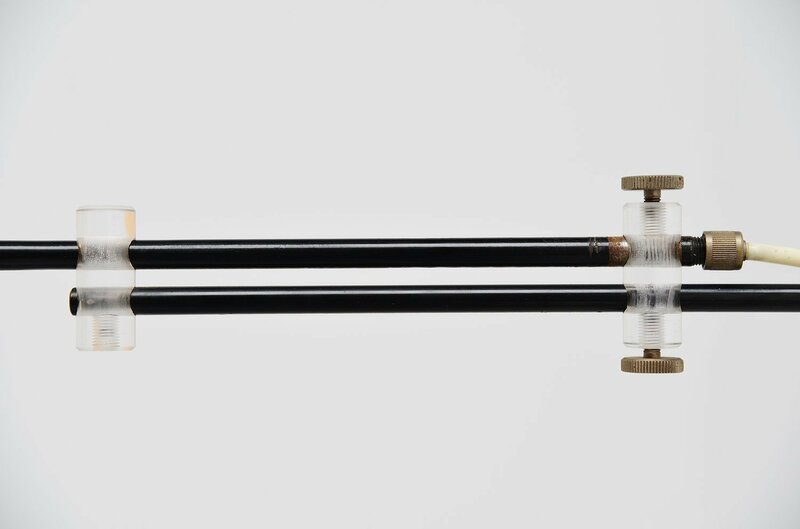 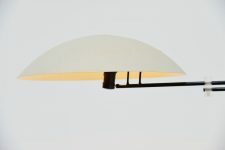 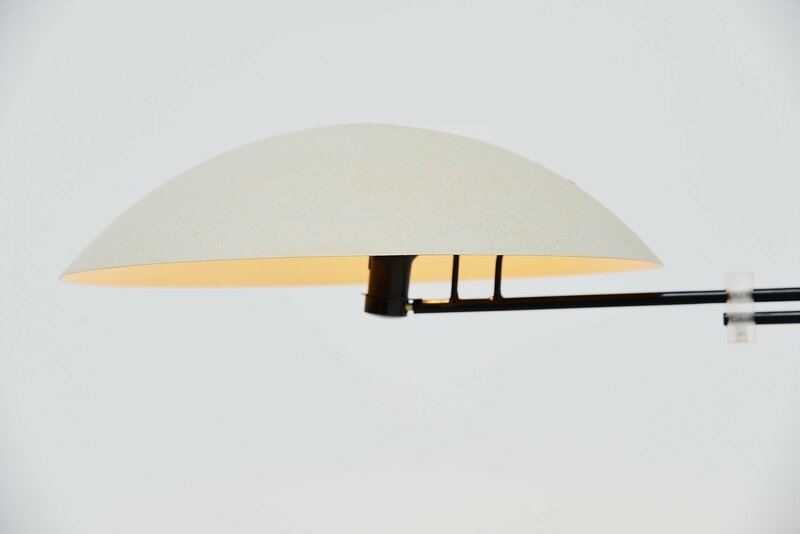 Large wall lamp model NX23 designed by Louis Christiaan Kalff for Philips, Holland 1954. 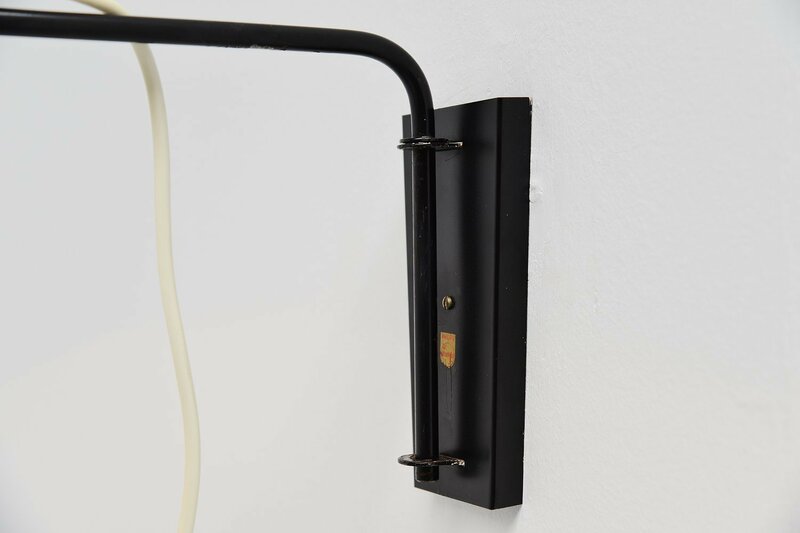 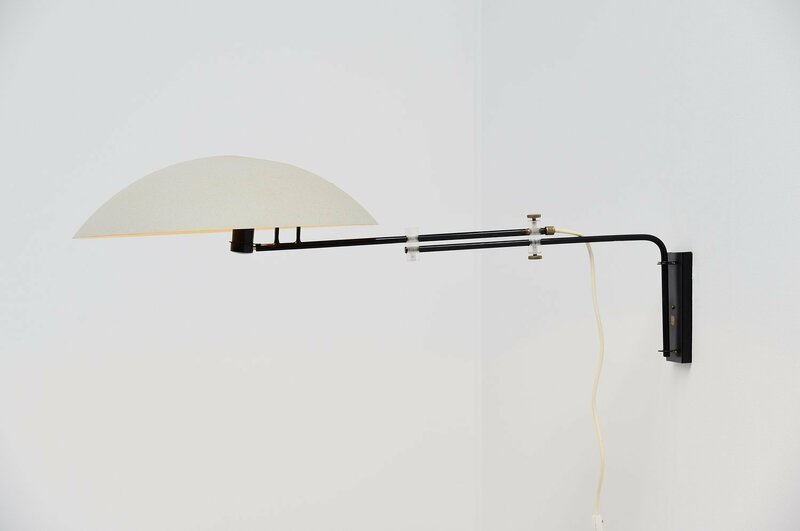 This rare large wall lamp has an adjustable arm for multiple uses. 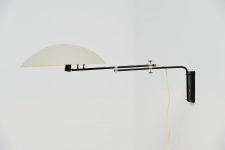 This lamp is mosly incomplete or in bad condition but this example is excellent if possible. 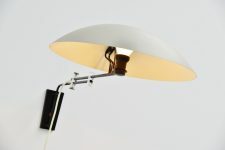 The lamp has a grey lacquered shade and a black lacquered arm with the Philips sticker on the wall plate. Very nice modernist wall lamp.